Alright, alright, I'M SORRY!! It's two days late but hey... I'm gettin' 'em to ya! It's been a hectic week but at least this is still a daily feature that I do every week no matter what! 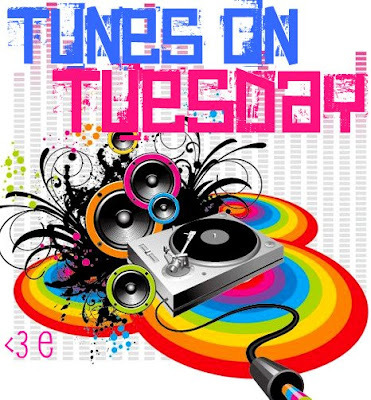 Tunes on Tuesday, Let's GOOOO! I feel like there is too much going on in this for me to pay attention to it for very long. Call it ADD, call it boring, call it whatever you want, but I don't have the attention span. I kinda like this song... And not because he's reppin' the DMV. He IS doing big things, though. I just kind of like the song, and the video, for some reason. These girls are from 3 different countries! How neat! And EVE! Lil Jon!! I didn't know you guys were still alive!! It's a fun song! I enjoy. I think the more I listen the more I like.. Maybe. Ask me again tomorrow. I used to really like TI.. Something happened, apparently. This song is better than the first one, but I think my favorite about it is Mary J. Blige's part. Hmmm... It's catchy, but doesn't something sound very familiar? It seems kind of like a lame song, too. I won't turn it off if it comes on, but I won't put it on either. No, not kidding. Sugar Ray is really back. How lame is this song?! C'mon now boys... You go from "Every Morning" to this?! You've lost your mind. This song isn't anything special to me, but I don't hate it. It's just whatever. His voice is always pretty. If you haven't heard this song yet, and you love country, Rascal, or summertime songs, you need to listen now. I love this song, obvi... I like all three of those things! Aw, what a precious little song. I think that's all I have to say about it. This is slow, and very country, as Trace normally is. I like his funny songs a lot better. Okay, that's all for now, friends! Until next week...!